We are absolutely devastated with Heritage Lottery Fund’s decision not to grant funds to the Maid of the Loch, and it’s going to take some time to absorb this news and the reasons behind it. It was HLF that encouraged us to apply; the West Dunbartonshire area was a top priority for them and we really felt we put forward a strong case for the funding. Not just for what the donation would represent in transforming the ship, but for what it would bring to the area and indeed Scotland as a whole if Maid of the Loch was to sail once again. This was reinforced by an award of almost £1 million from The Scottish Government. Unfortunately, this decision jeopardises the whole project, and our vision for refurbishing the ship now hangs in the balance. 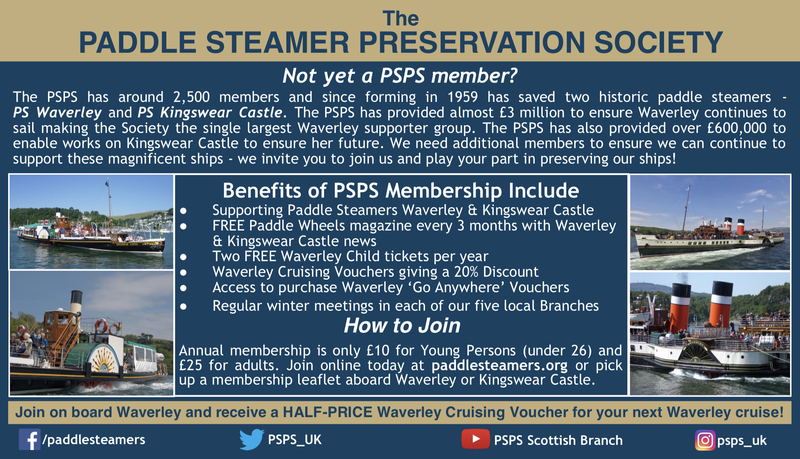 Our team of dedicated volunteers, our board of Directors, tour guides, maintenance and so many more hard-working and passionate individuals, have worked incredibly hard over the past 22 years to protect and preserve our much-loved Paddle Steamer. To have to explain to them that we won’t be sailing next year after all is extremely tough. As a small charity, with only nine Directors and 40 volunteers, to raise the equivalent of £2.3m towards the restoration is something we are extremely proud of. Moreover, for the likes of the Scottish Government, West Dunbartonshire Council, The Robertson Trust, The Paddle Steamer Preservation Society and so many more funders to have faith in us and support our cause over the years, is something we are incredibly grateful for, and we are sorry to disappoint them too. The Maid’s return to sail would have been the single biggest project to take place in South Loch Lomond in more than 20 years, and it’s a huge blow to the area now that this £6m regeneration programme will not take place. The effects of this decision will be felt by the whole community. It’s a very sad day indeed and does not auger well for the future of our industrial heritage. For now, we will take some time to reflect on this news and discuss as a team where we go from here.